Rosemary is a woody perennial herb with a robust flavour used to season roasts and stews. 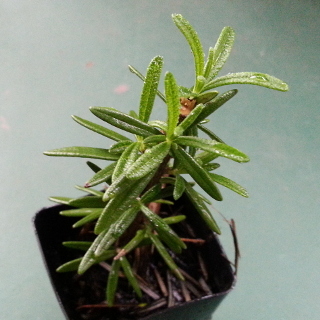 Rosemary is easy to grow and thrives on neglect but needs a well drained soil. This is an upright form growing to about 1.5m tall. This variety of rosemary forms an upright bush to 1.5m tall, prune and harvest regularly to encourage branching.